NYC schools no longer offer hearing screenings for its students, so on May 2, the Hearing Health Foundation and Gordon Hearing Conservation partnered to provide free hearing screenings for students at the Speyer Legacy School on Manhattan's Upper West Side in honor of May's Better Hearing and Speech month. On May 2, 2013, Hearing Health Foundation, a non-profit dedicated to finding a cure for hearing loss in the next ten years, partnered with Gordon Hearing Conservation and The Speyer Legacy School to provide a “Safe and Sound” presentation and free hearing screenings for its third-fifth graders. 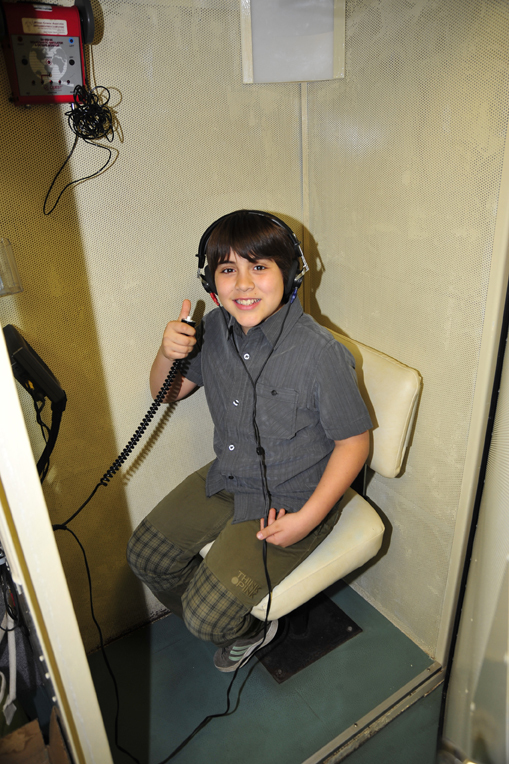 Serving as the kickoff to May’s “Better Hearing & Speech Month,” the Hearing Health Foundation fulfilled a dire need, as NYC schools no longer offer hearing screening for their students. By providing this service, Hearing Health Foundation, Gordon Hearing Conservation, and The Speyer Legacy School are ensuring the protection of children’s hearing. While hearing screenings are an overlooked necessity, they test whether an individual has normal hearing or some degree of hearing loss. • 1 in 5 Americans have hearing loss in at least one ear. • 20% of the US population aged 12 years and older has hearing difficulties severe enough to impact communication. • There is a direct link between age and hearing loss: about 18% of American adults between the ages of 45 and 54, 30% of adults between ages 65 and 74, and 47% of adults ages 75 and older have hearing impairments. • In the USA, three out of every 1,000 children are born deaf or hard-of-hearing. • About 26 million Americans between ages 20-69 have high frequency hearing loss due to exposure to loud noises at work or in leisure activities. • About 60% of deployed military service men and women have noise induced hearing loss, tinnitus and other hearing injuries. Hearing Health Foundation is the largest private funder of hearing research, with a mission to prevent and cure hearing loss through groundbreaking research. Since 1958 Hearing Health Foundation has given almost $30 million to hearing and balance research, including work that led to cochlear implant technology. In 2011 Hearing Health Foundation launched the Hearing Restoration Project, a consortium of scientists working on cell regeneration in the ear. HRP's goal is a biologic cure for most types of acquired hearing loss within the next ten years. Hearing Health Foundation also publishes Hearing Health magazine, a free consumer resource on hearing loss and related technology, research, and products. To learn more, to subscribe to our magazine, or support this work, visit hearinghealthfoundation.org. Follow the Foundation on Twitter at @HearingHealthFn and Like the organization on Facebook at facebook.com/hearinghealthfoundation.